Burning CAN Beer Festival. June 1st. In Lyons, ColoRADo! 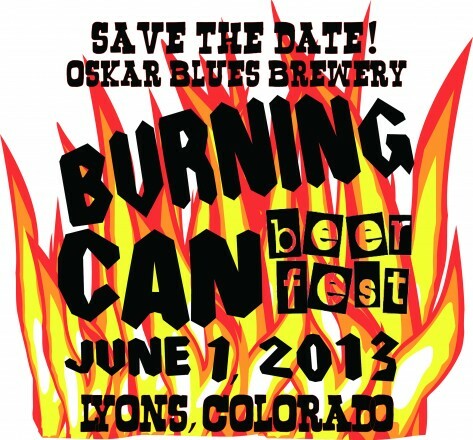 Burning CAN Beer Fest is one of the most unique beer festivals in all the land- come out to beautiful Lyons, ColoRADo to enjoy samples from 30+ craft breweries from around the country who CAN, outdoor sports, music and Rocky Mountain Revelry, providing entertainment for your ears, eyes, and taste buds! The beer festival takes place at Lyons Outdoor Games, a weekend-long event attracting world renowned athletes competing in a variety of sports, beginner & intermediate clinics, and even a few activities for your K9 buddy, all set amidst the backdrop of beautiful Rocky Mountain National Park. The festival itself is during the BMX dirt jumping competition, so you can enjoy craft brews while watching some bike-jumping bad-assery! Proceeds benefit the Town of Lyons Department of Parks & Recreation and the Colorado Brewers Guild.